Bustard eyes light up to indicate output level and clipping. The Little Bustard is now available at a huge discount until stocks deplete. Please contact your local dealer for more information. 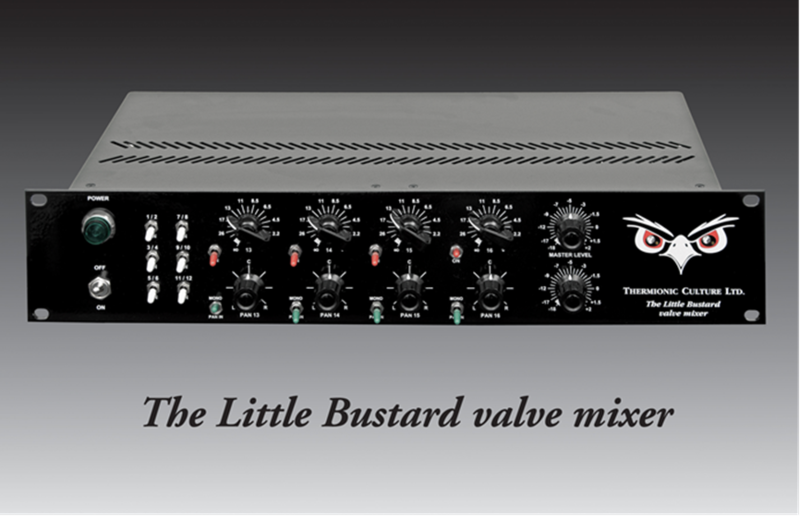 The Little Bustard has been a perfect expansion unit to the Fat Bustard and also a brilliant valve summing unit in its own right, but to make way for new and exciting products we have decided to cease production of The Little Bustard effective immediately. 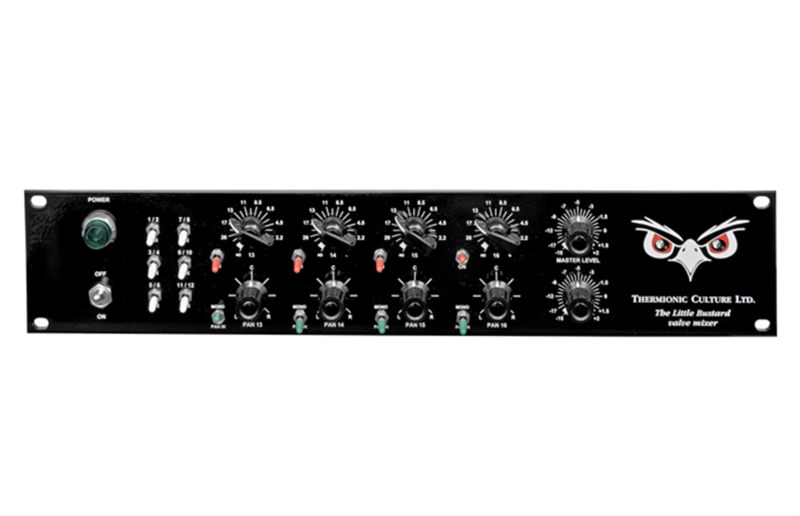 We have been working hard on new product ideas and are very excited to be releasing a new summing unit in 2013 to take its place, we also plan to release other new designs in our half rack and Solo range.